Never smash your lights again! CLICKnRIDE® are universal LED turn signals for off-road and enduro dirt bikes. 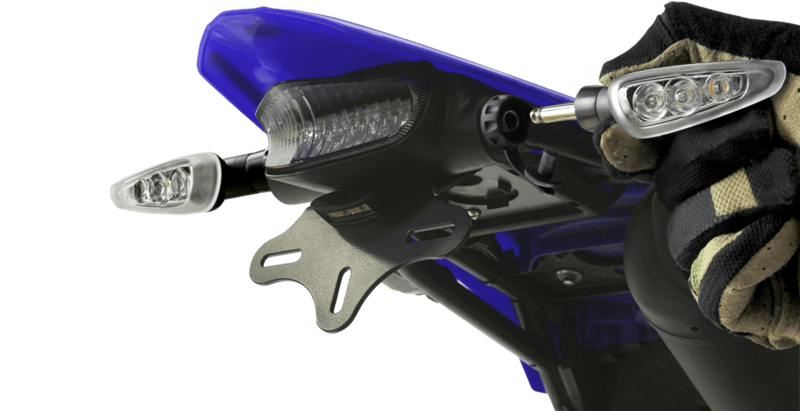 With our innovative click-release system, riders can simply and instantly remove their turn signals when off-road and protect them from being broken off in a fall, a swipe of a tree or other obstacles. CLICKnRIDE® solve motorcycle rider’s top 3 concerns – broken indicators when bush-bashing, keeping safe when back on the road and complying with road rules. Simply click them in and out in seconds. Too easy! Unique new look coupled to the original, proven universal click-release mechanism we invented. The Gen2.0 design is manufactured using the latest, most efficient production techniques, allowing us to drop the price whilst at the same time boost overall quality and materials. 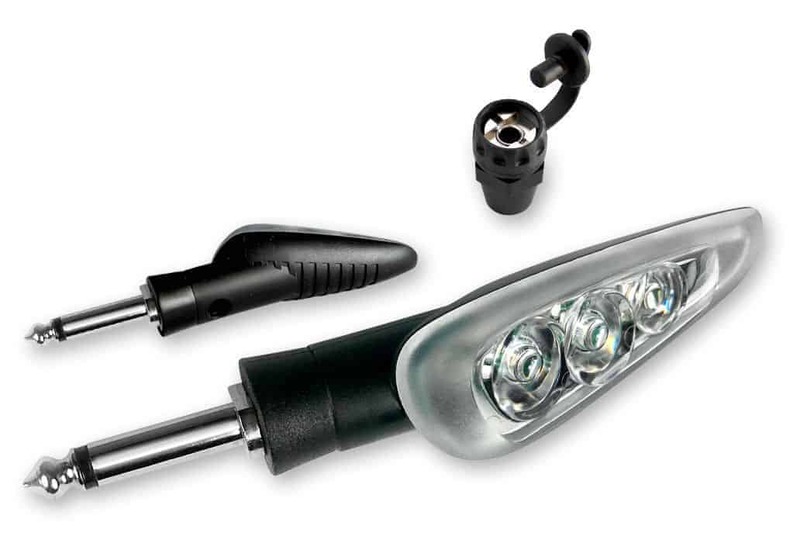 CLICKnRIDE® indicators have no moving parts to wear out and are made to last. Each part is fastened down tight to withstand the harshest environments. The new 3D lens is ultra-sonically welded to provide a waterproof, seamless finish around the whole lens and the new socket features an all new Moisture Guard to keep out the dirt and water when you're off-road. The UNIVERSAL socket can be installed on virtually any bike including Yamaha, Honda, Kawasaki, KTM, Suzuki, Husaberg, Husqvarna, SWM, Gas Gas + more. CLICKnRIDE® have undergone stringent testing to ensure they comply with ADR. Test have been conducted according to the UNECE Reg. 6 Standard which includes lamp intensity, colour, distances and angles, amongst other specifications required for motorcycles. The UNECE test is the most robust in the world and therefore many countries including Australia adopt this Standard. Shop now and avoid smashing your lights off next time you go bush-bashing!